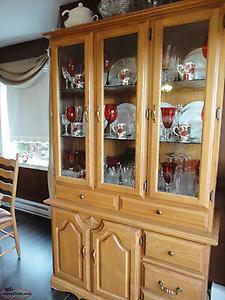 Buffet/Hutch, table w/6 chairs & extra leaf. Beautiful dining room set. 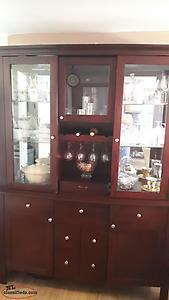 Buffet hutch table and 6 chairs. Very solid piece of furniture. There are a few dings but nothing major. Selling because to big for the room. Sadly I am downsizing. 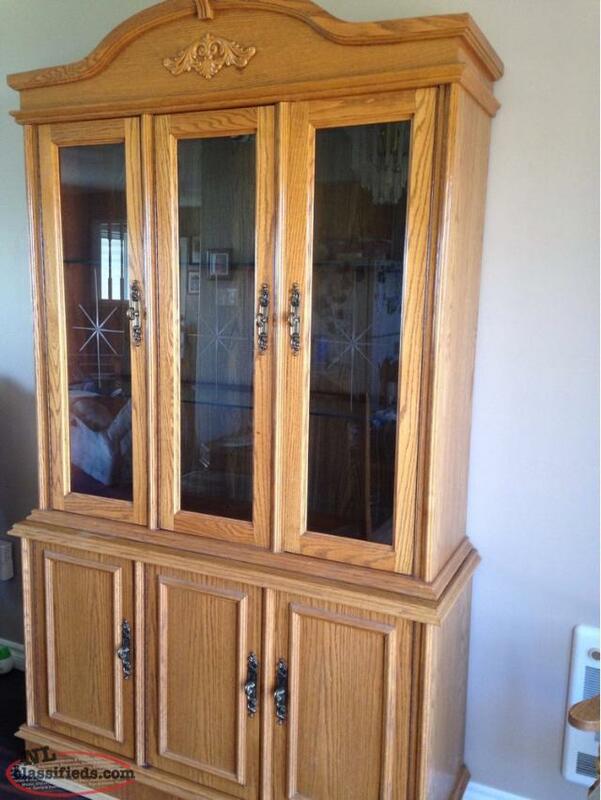 Solid oak hutch, very sturdy and well made, excellent condition. Glass Door Top can be taken off the bottom for easy transport. 2 door, 3 drawer bottom. 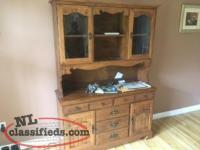 Hi, I'm interested in the 'Oak Hutch And Buffet' posted on NL Classifieds! Please contact me if still available.